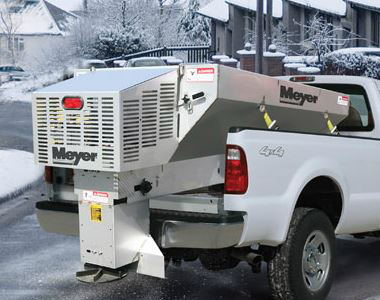 Spread up to 30 feet with this Meyer BL600 Salt and Sand Spreader that can fit in a 1/2 ton plus truck. Meyer’s Material movement System that assures smooth movement through the spinner for an even distribution. Tough clumps and hard materials are broken up by the 6.5 HP Briggs & Stratton motor for guaranteed material flow. And, an in-cab controller allows you to control the spreader from inside your vehicle. 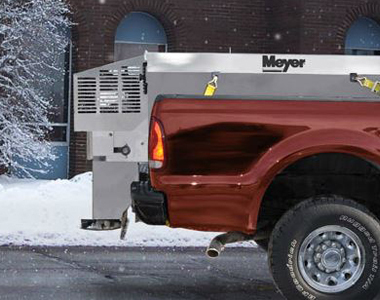 Hopper Capacity: Fill up less with this 40.5 cu ft. spreader that can hold up to 4310 lbs. Spread Width: Cover up to 30 feet at at time to get your job done quickly. 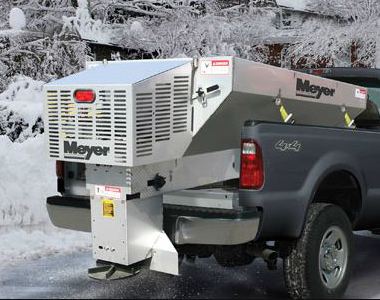 Vehicle Applications: Attach this spreader to a 1/2 ton+ truck. MMS: Meyer’s Material Movement system assures that materials flow evenly through the spinner for an even distribution. Briggs & Stratton Motor: Break up the toughest clumps with the 6.5 HP Briggs & Stratton motor. In-cab Controller: Control the spreader from inside your vehicle with an in-cab controller that also offers an electric start. 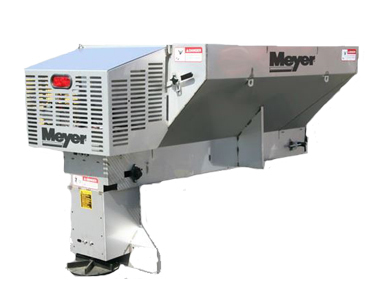 Ask us about the Meyer BL600 Gas Drive Insert Hopper Salt Spreader. Please no repair questions. Your Q&A may be posted to SnowblowersAtJacks.com to help other shoppers, like you, with their purchasing decisions. Thank you. Add options now for your Meyer BL600 at a 1 time discounted price. When you are ready to check out, just click the ADD TO CART button. Description: Mount your spreader with a Nylon Strap Mounting Kit that meets requirements for harsh winters. Includes four heavy duty 2 inch nylon ratcheting straps and hardware.